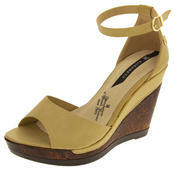 These gorgeous espadrilles are the newest addition to the extensive Keddo women?s shoe range. They have a cushioned insole and a genuine leather lining making them extremely comfortable. They have a high quality textile upper with gorgeous weave designs. These shoes are perfect for any casual occasion.